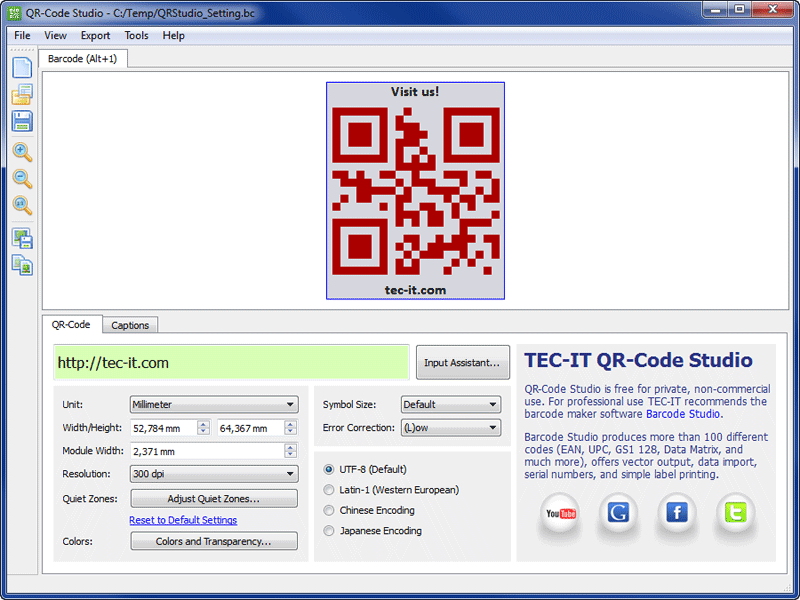 Use the freeware QR-Code Studio to quickly create QR codes for any application. Special know-how is not required; an assistant simplifies the creation of QR codes for mobile tagging, social media, business cards (vCard, meCard), websites, Android, etc. The professional interface supports the adjustment of the settings like color or captions. The generated QR-Codes are available immediately as BMP, GIF, JPG, PNG and TIFF graphic file. DWG PDF Converter is a batch converter that allows you to convert AutoCAD DWG to PDF, and DXF to PDF without the need of AutoCAD.